It is hard to see a person without mobile phone here. Though there are several foreign mobile phone companies dominating Indian mobile phone market, there are several Indian mobile phone companies who play equally well in terms of quality. Some Indian mobile phone brands like Micromax are favorite among Indians as they provide mobile phones with advanced features at a competitive price. Laptops, Smartphones, Tablet Computers, 3G Data cards and LED Television. Before entering the mobile handset business, Micromax was established as an IT software company operating in the embedded devices domain. Founders - Rahul Sharma, Vikas Jain, Sumeet Arora, Rajesh Agarwal. Videocon launched its mobile phones in November 2009. It has launched a variety of mobile phones ranging from basic color FM phones to high-end Android devices. Videocon Mobiles launched its own flagship smartphone Videocon Infinium Z51+ in India. Videocon is one of the top Indian mobile companies in India. Internet, Petroleum, Satellite television, Power and so on. Karbonn Mobiles Pvt Ltd is a telecommunications company in India. It was founded in March 2009. It is a joint venture mobile manufacturing company between the Bangalore United Telelinks Limited and Noida Jaina Marketing & Associates. Karbonn is one of the best Indian mobile companies in India. Karbonn has a presence in countries such as Bangladesh, Nepal, Sri Lanka and in the Middle East and Europe in addition to India. Karbonn was listed 77th among 1200 of India's most trusted brands according to the Brand Trust Report 2014, a study conducted by Trust Research Advisory. Lava International was founded by Hari Om Rai, Sunil Bhalla, Shailendra Nath Rai and Vishal Sehgal. It is an Indian mobile company. Headquarters of this mobile company is located in Noida, Delhi NCR. Their products include Mobile Phones, Smartphones, and Tablets. Lava is one of the leading Indian mobile brands in India. Intex Technologies was founded in the year of 1996. Their product lines include smartphones, consumer durables, and IT Accessories. It is an ISO 9001:2008 certified company. They manufacture different product categories ranging from mobile handsets, wearable devices, home theater solutions, multimedia speakers, and DVD players, LED / LCD TVs, induction cookers, washing machines and much more. Intex is one of the top Indian mobile brands in India. Celkon is a mobile phone company in India that involves in the development of mobile phones, Tablet PCs, and wireless technologies. It is based in Hyderabad. Their products include mobile phones, smartphones, and tablets. Celkon is one of the best Indian mobile brands in India. Celkon is India's sixth-largest mobile handsets company. The company has its own state of the art manufacturing facility in the Telangana state of India. iBall was started in September 2001 and is headquartered in MIDC Andheri Mumbai, Maharashtra, India. It imports computer peripherals, mobile phones and tablets from original equipment manufacturers (OEMs). Their product lines include Mobile Phones, Laptops, Routers, Tablets, Data Cards, DVRs & CCTV Cameras, IT Peripherals, Accessories, and Gadgets. iBall is one of the leading Indian mobile brands in India. Headquarters - Andheri (E), Mumbai Maharashtra. Onida is a popular company in India for its color CRT televisions. It also manufactures mobile phones. The product lines include LCD TVs, Plasma TVs, Televisions, DVD and Home theater systems, Air-conditioners, Washing machines, Microwave ovens, Presentation products, Mobile phones, LED TV, LCD monitor, and LCD TV. 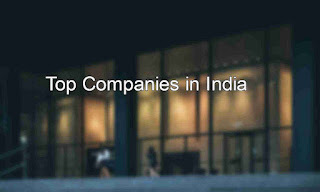 Hope you find the article 'Top Indian Mobile Companies in India - Mobile brands in India list' useful for you.